The RAPTOR 8 Channel Wireless Control System is incredibly slim and extremely durable. The Raptor redefines the aftermarket control solution for the Track Day and Motor Sport enthusiast. 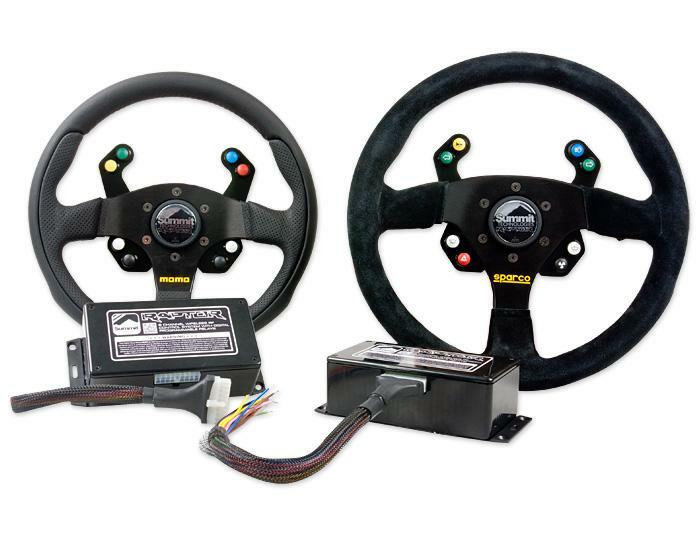 - Fits All Momo, Sparco and OMP Aftermarket Steering wheels with a 70mm PCD and a tdc screwhole. The IVA version of the Raptor has predefined buttons with printed symbols to comply with sections (12 and 33) of the current 2014 UK IVA M1 Inspection Manual, which is perfect for Kit Car Manufacturers and Road Going Vehicles. The IVA Version also has custom code with some clever cancellation logic. This is designed in such a way, that you cannot activate all of the signal indicators at the same time. The system actually checks so see if any of the signal indicators are active BEFORE allowing another selection. 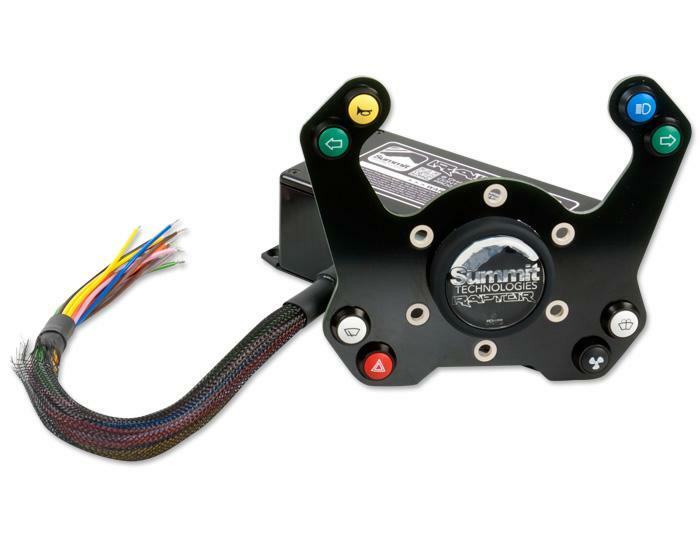 This is a perfect addition to your track toy or race car.. all you need to do now is think of how you're going to program the buttons! Dit product is toegevoegd op Tuesday 12 August, 2014.